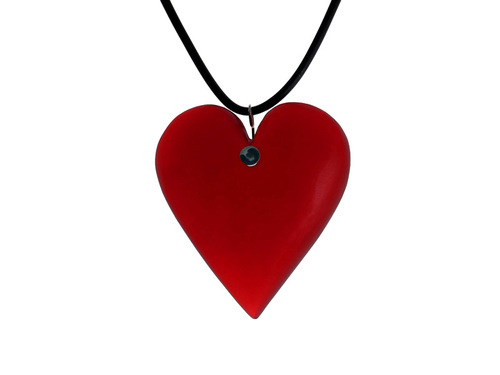 A sure way to a woman’s heart is to buy her a heart shaped pendant. 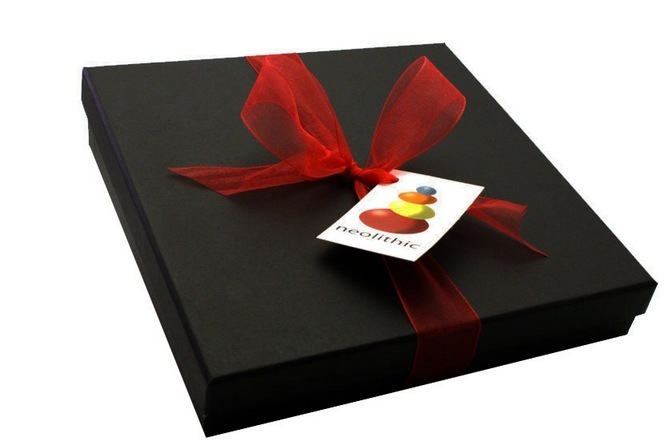 Make a beautiful romantic gesture, a simple expression of love. 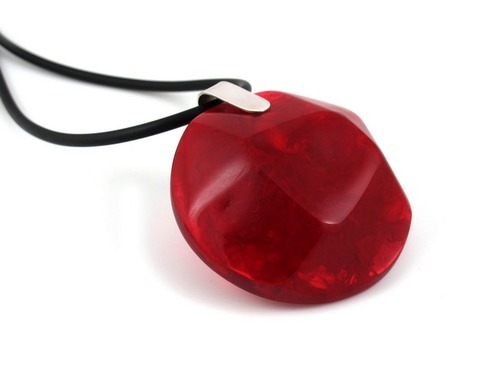 This resin pendant boasts a beautiful deep red hue and marble finish. Every single one of these pendants is sculpted by hand. This is truly a wearable piece of art. The resin heart pendant will add effortless fun to any outfit and show the soft side of your personality. Both chic and funky, this accessory will be one you’ll wear again and again. Wear it with a simple white t-shirt or a glamorous dress, long or short and you’ll always have a winning combination. I love resin for its durability but also the flexibility that I have with my designs. I prefer to keep things simple but play with rich colors because I feel that this makes much more of an impact to an outfit. 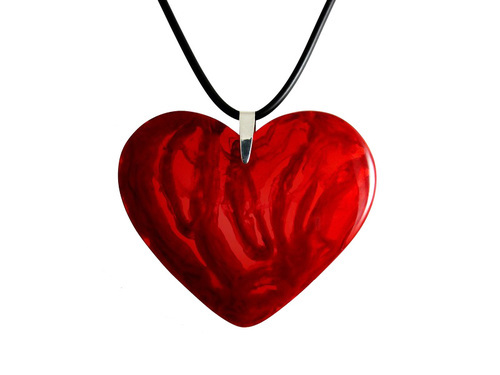 The simple line and form of this marble heart means that you’ll be able to wear it with everything. 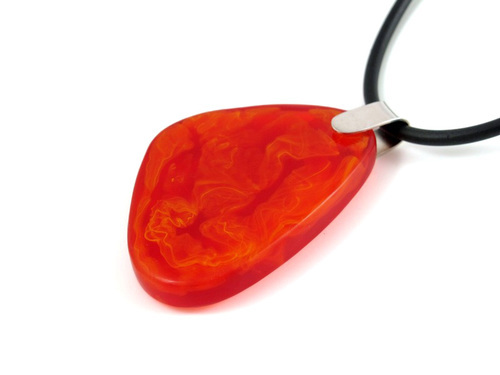 Each and every one of my pendants is hand crafted so no two will ever be identical. 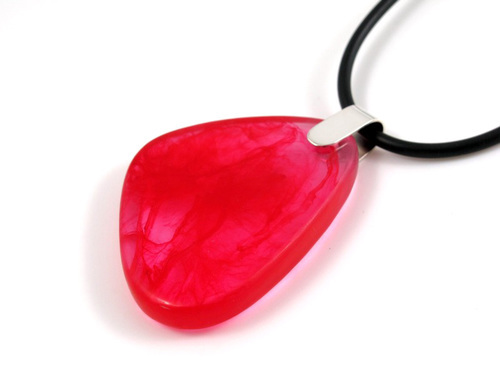 The special marbling technique comes out different on every resin necklace ensuring you get something totally unique.